Soul Serenade: Carl Hall, "You Don't Know Nothing About Love"
My Soul Serenade column has been around for more than five years now. I think it’s fair to assume that those of you who are reading the column regularly share my love for classic soul music, and hopefully you’ve come to trust my taste in the records that I choose to feature. Sometimes I think I should feature more rare tracks and less of the big hits. But I have my ego like everyone else, and I’m concerned that people wouldn’t be as interested in reading the column if the records were not well known. This week I am going to feature Carl Hall, an artist who didn’t have any massive hits, but did have undeniable talent. The impetus for this week’s column is the release of a wonderful new Carl Hall compilation by Grammy-winning archivists Omnivore Recordings called You Don’t Know Nothing About Love: The Loma/Atlantic Recordings 1967-1972. Anyone who listens to the powerful title track of the collection will be scratching their head and wondering why Hall never became a household name. So let’s go back to the beginning and see if we can figure it out. 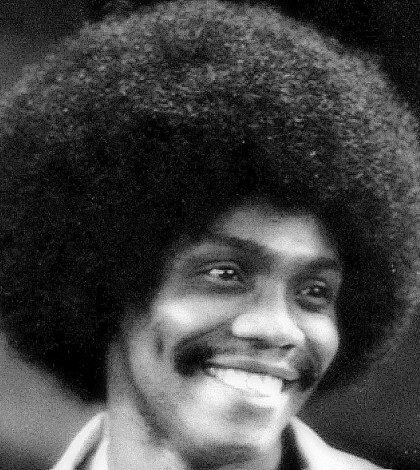 Hall was born in Pittsburgh and he began to show his prodigious musical talent by the time he was in junior high school. He sang in his high school’s a cappella choir, but it was the time singing in his church choir that was his greatest musical influence. After releasing a few more singles for Vee-Jay, the Rasberry Singers shifted to Savoy Records out of Newark, NJ in 1958. There were several singles, and two albums for Savoy before Hall left to serve in the Army. When he returned from his service he decided to pursue secular music. He moved to New York, and once the record labels there heard his voice, with its four-octave range, he had no trouble getting a deal. The first company that Hall signed with was Mercury Records where he released his first single, “I Believe” b/w “(I Pray For) a Miracle” in 1964. He called himself C. Henry Hall in those days, obviously hedging his bet in case the pop music thing didn’t work out. A second single of “Summertime” b/w “Let Me Down Slowly” followed. When it was time for his third Mercury release Hall had decided that he liked what he was doing and went back to being billed as Carl Hall. Gene Redd, who had produced the first two Mercury singles, was back behind the board again for “My Baby’s So Good” b/w “What’s Come Over You,” this time joined by Quincy Jones. Hall continued recording for Mercury until early 1966. He hadn’t had any major hits, but his best recordings were still ahead of him. The following year Hall met the legendary producer Jerry Ragavoy who had to chase hits himself until he scored with the Majors smash “A Wonderful Dream” in ’62, and the even bigger Garnett Mimms hit “Cry Baby” the next year. Working with Bert Berns, Ragavoy produced some great work but he saved some of his best stuff for the west coast-based Loma Records, a Warner Brothers subsidiary. Ragavoy produce the original version of “Good Lovin'” by the Olympics for Loma, and the grand Lorraine Ellison ballad “Stay With Me.’ The latter however was so good that Loma turned it over to the parent company for release. The first of Hall’s singles with Ragavoy was released in late 1967. “You Don’t Know Nothing About Love” was written by Ragavoy, and on the flip side was another gem, “Mean It Baby.” Several previously unreleased recordings from that time are included on the new Omnivore compilation and you have to wonder why these records never came out. They’re that good. The next released single for the Hall-Ragavoy team was “The Dam Busted” b/w “I Don’t Wanna Be (Your Used to Be)” which was released in 1968. Sadly, Loma was failing by then and it wasn’t until 1971 that Hall was able to get a deal with Atlantic, where he could continue to work with Ragavoy. There was only one single for Atlantic though, a cover of the Jefferson Airplane’s “Somebody to Love,” which bore so little resemblance to the original that Atlantic called it “Need Somebody to Love.” The flip-side of the Atlantic single was a song called “Change with the Seasons” which was written by Elliott Lurie who would have a big hit with “Brandy” the following year as a member of the Looking Glass. But that was it for Atlantic releases. Ragavoy hoped to make an album with Hall and provided plenty of material for it including songs that were outside of Hall’s comfort zone like covers of Ragavoy’s own “Time is on My Side,” the Beatles “Long and Winding Road,” and the Anthony Newley-Leslie Bricusse song “What Kind of Fool Am I.” Even though these songs weren’t Hall’s usual fare, he killed it on all of them. Ragavoy tried one more time to push Hall over the top. They collaborated on the 1973 Columbia single “What About You,” co-written and arranged by Hall, b/w “Who’s Gonna Love Me” which Ragavoy co-wrote. That was the end of the road for the team which produced so much great work, with so little success. Hall had no trouble finding work as a background vocalist in the New York studios, but what he really wanted to do was act. He co-starred in the play Inner City which debuted on Broadway in late 1972, and in 1977 he joined the Broadway cast of The Wiz, which had been running for two years at that point. In 1979 he got a featured role in the Milos Forman’s film version of the Broadway smash Hair, and then stepped up to the title role in a revival of The Wiz in 1984, co-starring with Stephanie Mills. Carl Hall kept on working until his death in 1999. The question of why he never found popular success remains unanswered. His voice was a little different for sure, but in a good way. Maybe his passionate, gospel-inflected vocals were too much for some people. Personally, I don’t get it. Hall is every bit as good a soul singer as many of those who became big stars. Listen to You Don’t Know Nothing About Love and see if you can explain it.